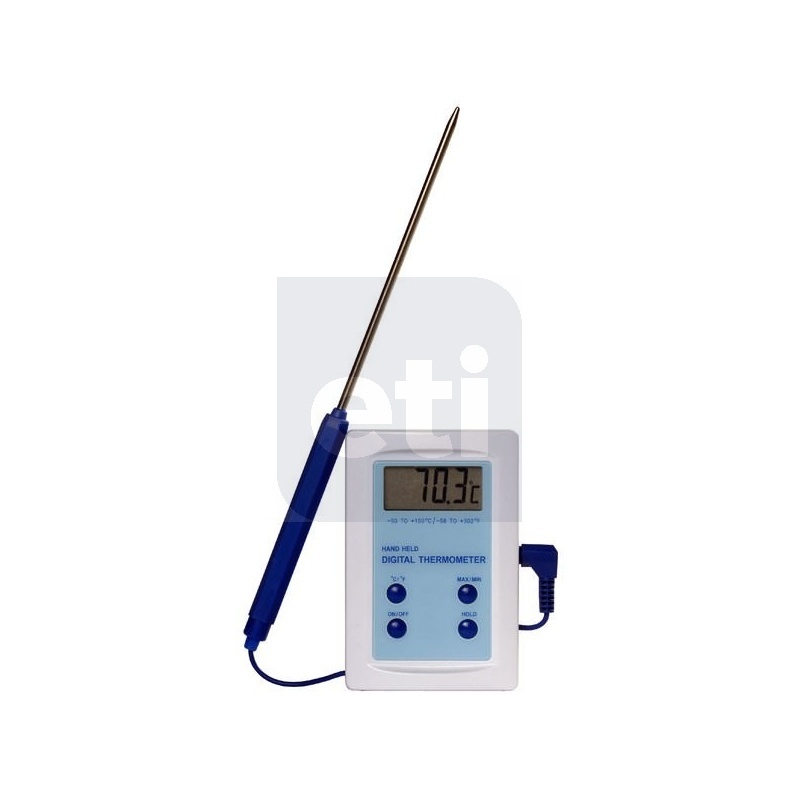 Max/Min Thermometer Max min thermometer with probe, featuring an easy to read display with display hold and max-min memory functions. 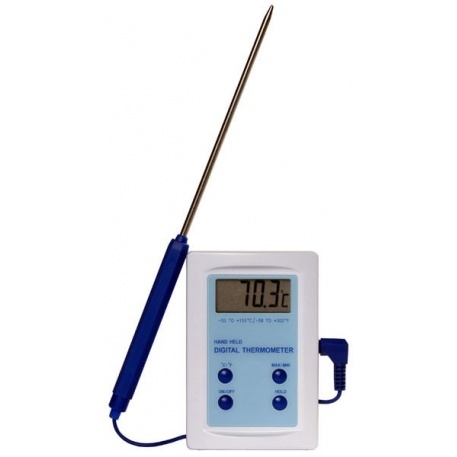 Max/min Thermometer - The max min thermometer features an easy to read LCD display with hold and max/min memory functions. 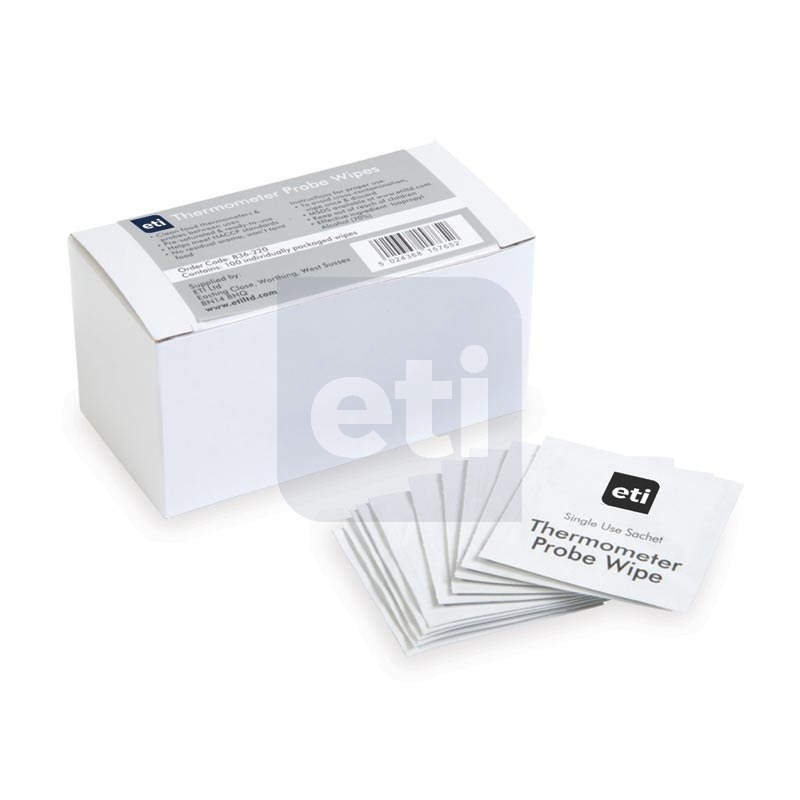 This thermometer measures temperature over the range of -49.9 to 149.9°C with a 0.1°C/°F resolution. The max/min thermometer features a useful fold-away worktop stand. 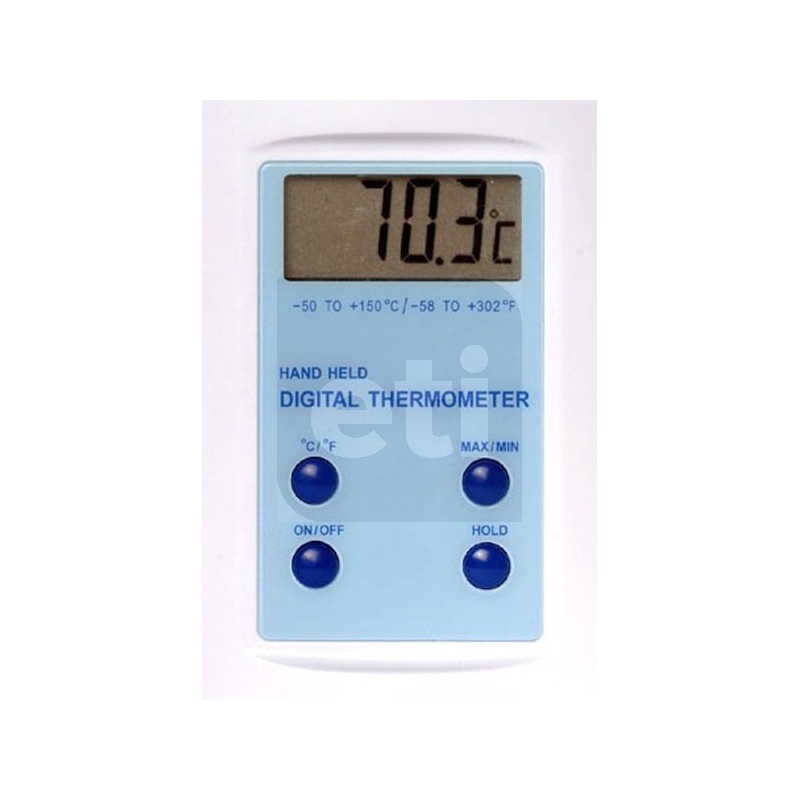 Additionally, this digital max min thermometer incorporates a magnetic pad and a keyhole slot for attaching the unit to an appliance or for wall-mounting. The max-min thermometer is powered by a single MN2400 (AAA) battery with a life expectancy of approximately 5000 hours. 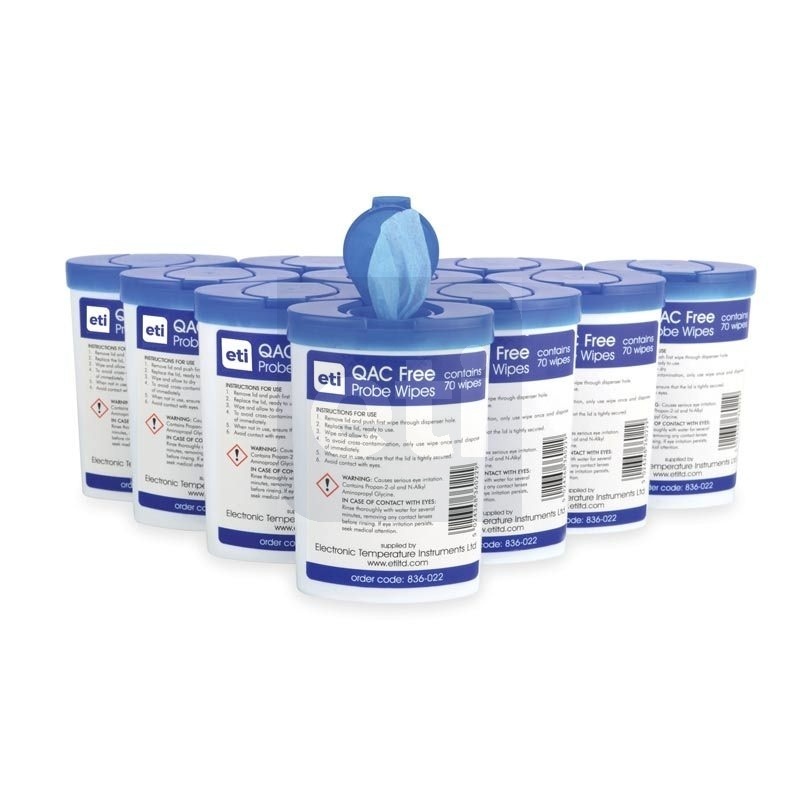 Each instrument is supplied with a detachable, stainless steel, penetration probe (Ø3.5 x 120mm) with a one metre PVC connecting lead and probe cover.